The highest first-week sales for a Switch title. 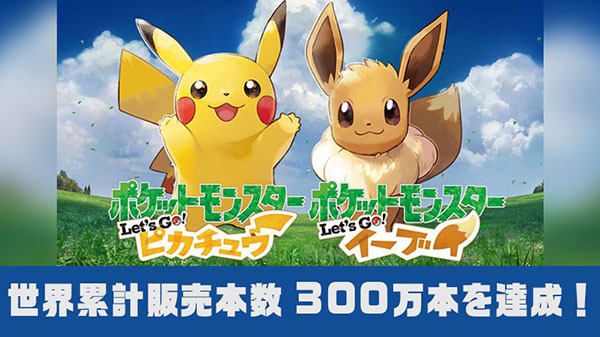 Pokemon: Let’s Go, Pikachu! and Pokemon: Let’s Go, Eevee! sold three million copies in its first week of release worldwide, The Pokemon Company announced. As far as Switch games go, the games boast the highest first-week sales numbers. Both games launched for Switch on November 16.